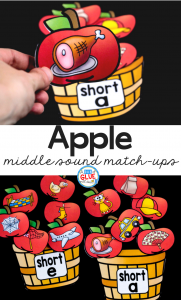 Apples are such a fun theme for the Fall, Spring, or anytime of the year! Incorporating apple themed learning activities into the beginning of the year was always one of my favorite ways to get back to teaching. 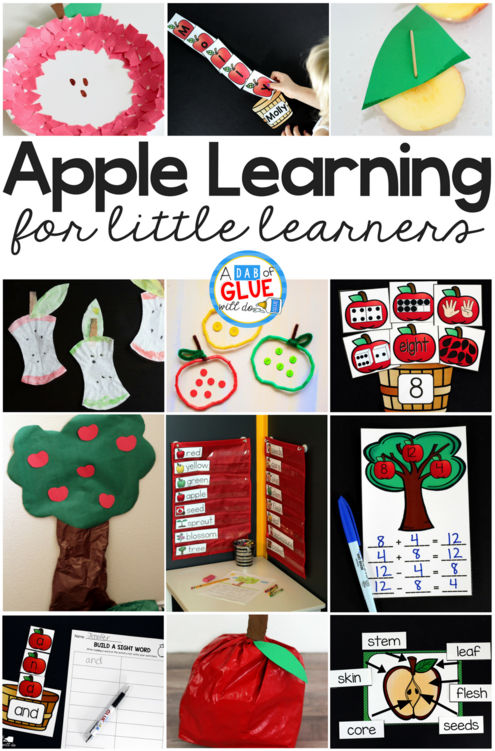 I hope that you and your students will enjoy these apple learning activities for early childhood! You don't have to limit your apple theme to Fall! Incorporate apples into a nutrition theme or a dental health unit. 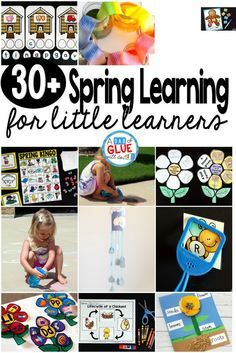 These learning activities are used across the learning curriculum from science to literacy to math and art. 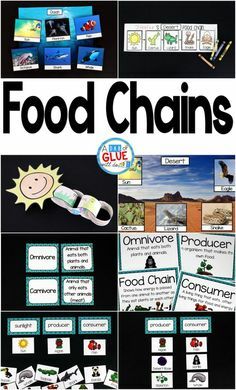 Use your favorite fall snack for science! 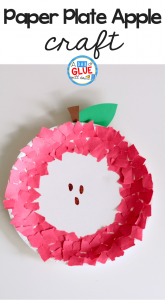 Apple boats are a great STEM project for your students. Study buoyancy with this very hands-on apple science activity. 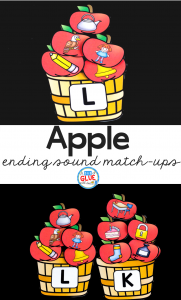 Transform your language center with this apple themed build a sight word download. 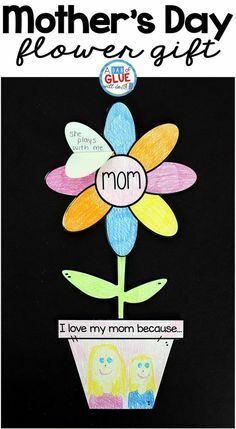 I like to leave this on my center shelves as a great way to encourage practicing sight words during free center time. 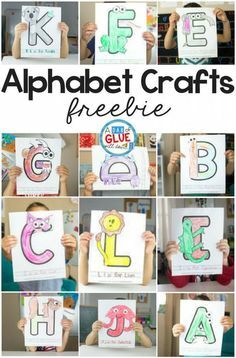 Fine motor work is great to help strengthen little hands. 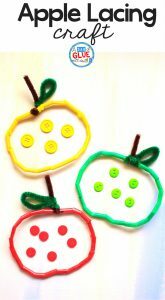 Here's a great apple pipe cleaner activity to make during your apple unit. 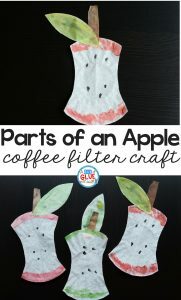 Art is often hard to add into your busy teaching day, but if you have a couple simple materials, you can encourage creativity with coffee filter apples! 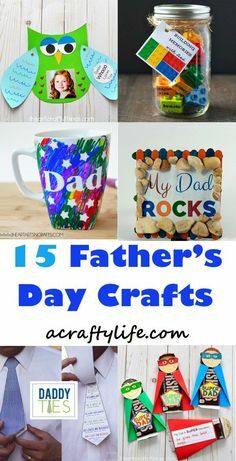 The materials for this activity are very cheap and probably already in your craft stash. Fact families are more fun with an apple tree! 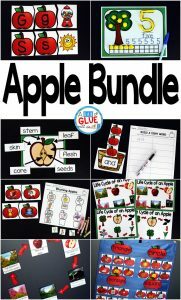 Download, laminate, and help your little learners practice their favorite fact families with a fun apple theme. 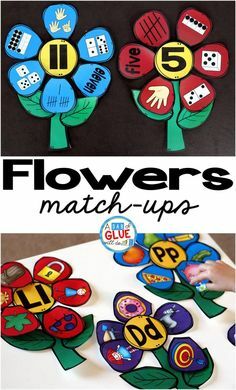 Apple number match is perfect for your math centers. Students work to add the different numbered apples into the correct basket. This is a great collaborative activity for the fall semester. 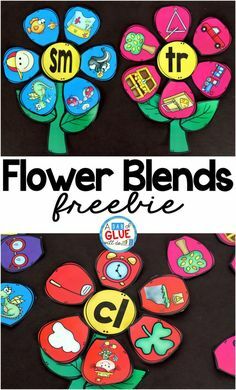 Grow an apple tree in your room! 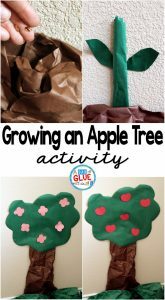 Not a real one, but one your students will adore seeing grow as you study the life cycle of an apple tree. Add to your classroom library with this wonderful set of apple books. 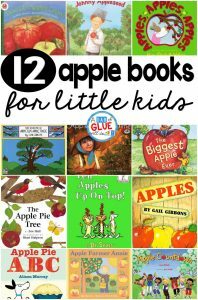 Little readers will love hearing stories of apple trees, Johnny Appleseed, and tales of amazing apples! 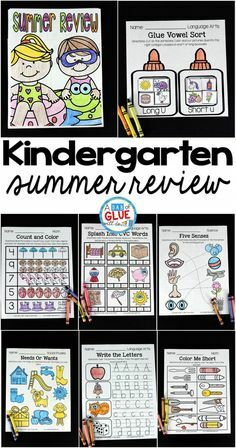 Writing centers are a must in a busy classroom. 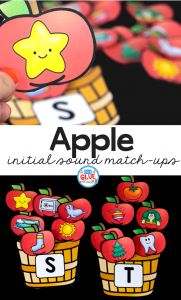 Use this apple themed writing center in your apple unit this fall. All the materials you need are in the download! 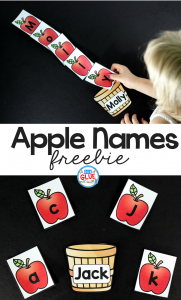 Making name work fun with this apple names - name building practice activity! 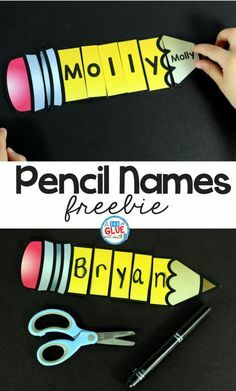 Students can build their own name with this editable printable.